It was really awesome to celebrate 5 years of CoderDojo Toronto with all you dedicated learners, brand new faces and passionate mentors. You’re the best! I was wowed by all the of the continued support. It was really good to connect with with members the global CodeDojo community, special thanks to Yasmin of CoderDojo Florence for stopping by. This Project Showcase was really fun. Keep scrolling to see some interesting games and awesome Scratch techniques! CoderDojo as an organization has touched many people’s lives through the gift of code. By providing a safe space for young people from different communities to meet mentors, access learning resources, and meet peers who share their interests and skills – our organization has been an entry point into tech for many young people who have traveled from within our city, and from towns across Ontario, to build their knowledge of computing. It is with great care that we accept a donation to CoderDojo Toronto in honour of a young man, Noam, who recently passed away. Friends of Noam chose CoderDojo because he was passionate about coding and social justice, and would have appreciated helping young folks gain access to free coding workshops. 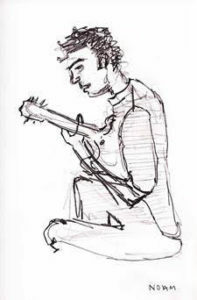 Though he was a private and very humble individual, his mother and his partner thought that Noam would be comfortable in sharing a link to his website, so that people can view his writings, thoughts, art work, coding, and his journey with cancer. After each session, we hold a quick (<10min) mentor debrief to see what wins were made that day, introduce any new ideas to work on, and examine what didn’t work. The greatest take away from this session was not a coding win, but a breakthrough with a smarter than average student. This young coder had been to 3 sessions, and brought his C++ coding manual to work through. His heart was already committed to the language, but he was having a struggle advancing quickly. His friends, family, and teachers were not equipped to teach him the language – and likewise – he was having little luck finding his coding community, unable to convince his friends to take on the task of hard-core coding. That few mentors were able to help in meaningful ways was getting the team down – how do we support this coder before he loses interest? The solution was in asking what they wanted to do. The answer was surprising. This young person felt they were letting people down by not having a project that was showing progress. 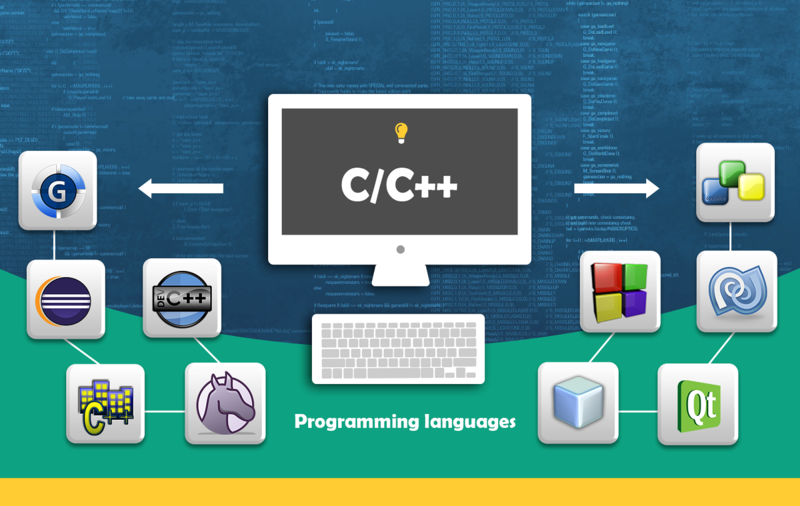 We unpacked, over cake, how important it is to find your coding peers, as they will help push you along in projects – but we also unpacked that C++ is daunting for many programmers – and that even though Scratch might seem like a step backward, that learning to use the programming functions there can help communicate progress to others much more quickly. From beginning to end, we can make a game that people can play in an hour. After a big sigh about what it meant to take that step to a more junior programming language we went back to the computer and got programming. Looking forward to big things from this keen and altruistic learner who wants to learn code to improve his life, and to share it with friends and loved ones. Based on feedback from mentors and parents we’ve changed our curriculum to allow students and mentors to easily find projects suitable to their interests and skills. We’ve also changed our seating structure from front-of-room facing desk rows. Instead, we arrange tables in clusters to allow mentors better access to walk around, and encouraging more interaction of students. This new layout ties in nicely with color-coded duo tangs: Scratch, Web, Programming, and Hardware. On March 25th, Toronto Public Library Annette Street Branch held it’s first CoderDojoTo event. Branch Head Jeffery Toste spearheaded the in-branch initiative and was on-site as a mentor at well attended event. We welcomed 23 new coders, and their parents. We also provided 7 laptops (2 from the library and 5 from CoderDojo Toronto) to students who did not have their own. Our mentor group was the core team (Ming, Yousif, Tyler, Les) and Jeffery. As we ran the Making A Basic Game in Scratch workshop at the front, it was just enough to cover a table of 4 for each mentor. We made a change to our seating arrangement – switching from row seating looking forward, to pod seating clustering 4 students around a table. Mentors were able to provide better support for more students by spending time with each side of the table, and it encouraged pairs to work together when a mentor was busy with others. Parents were also more engaged as a result of the pod seating allowing them to sit with their learners, and mentors could still get around to everyone. To continue to run successfully though, we will need to have more mentor training sessions in different neighbourhoods of the city. 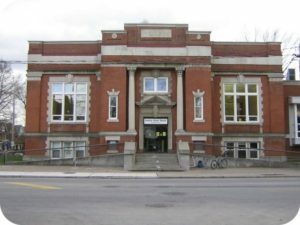 A West end training session will be booked in early May at the Annette Street Library. CoderDojoTo will not be holding our regular monthly event in January. We are working on a number of exciting initiatives and will be sending another e-mail soon with announcements! Stay tuned for important updates about upcoming CoderDojoTo community events, skill building materials, and volunteering opportunities. Thank you for learning code with us. CoderDojoTo had a great year in 2016. We ran 15 community events, allowing us to teach 350+ coders new computer skills. Dozens of mentors, volunteers, and community members lent their support to make this past year a huge success. We truly couldn’t have done it without your dedication, donations, and support! Thank you to everyone who came to learn and share coding skills this year. 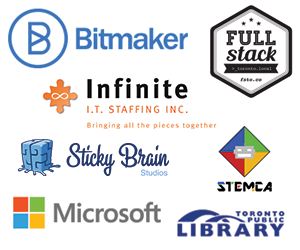 We would like to extend a special thank you to our venue sponsor, Bitmaker, for providing crucial space and internet for our monthly workshops, and to all the companies who’s generous support made free computing education possible – including Full Stack Toronto, Infinite I.T. Staffing, Microsoft Yorkdale, Toronto Public Library, STEMCA, and Sticky Brain Studios. Thank you! We had the pleasure of running a variety of new workshops and curriculum content this past year.